A special friend—and fellow warrior in the battle for the hearts and minds of people—has gone to his eternal reward. Dr. Duane Gish, former senior vice president of the Institute for Creation Research (ICR), went home to be with the Lord on Wednesday morning. I knew Dr. Gish for over 30 years and worked with him at ICR. Dr. Gish was a great defender of the Bible, and he participated in 300 debates with evolutionists. Over the years, he became known as “Creation’s Bulldog” because of his vigorous defense of the Genesis account of creation. He was without a doubt the world’s foremost creation-evolution debater for biblical creationists. I’ll never forget the time I obtained a copy of his book Evolution: The Fossils Say No. I was still living in Australia and was involved in founding the biblical creation apologetics ministry that started in our home in Brisbane, Queensland. 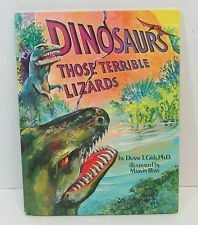 And I’ll never forget the joy in my heart when I saw the very first major children’s book on dinosaurs by Dr. Gish, Dinosaurs: Those Terrible Lizards. We imported these two books (as well as many others) and thousands of them were purchased and distributed throughout Australia. Dr. Gish visited Australia in the 1980s and spoke for our ministry (then known as the Creation Science Foundation). When Mally and I—and our children—moved to America to initially work with Dr. Gish and Dr. Henry Morris at ICR (in the San Diego area at that time), Duane adopted our kids to be their American grandfather. He will always have a special place in our family’s hearts. Dr. Gish earned a PhD in biochemistry from U.C. Berkeley, and he was the author of a number of books, especially Evolution: The Fossils Say No! Before he joined the Institute for Creation Research, he worked as an assistant professor at Cornell University Medical College and later with the Upjohn Company as a senior research associate in biochemistry. During that time in the 1960s, he helped form the Creation Research Society. Many AiG staff members can attest to the impact that Dr. Gish’s life and work had on them. He influenced many people in the course of his life, and he has left a godly legacy behind. Dr. Gish and the late Dr. Henry Morris will always be two of my heroes of the faith. Both men have now received their eternal rewards. We at AiG stand upon the shoulders of these men who exhibited such courage and boldness in their uncompromising stand on the authority of God’s Word beginning in Genesis. In June of last year I enjoyed a very special time with my good friend Duane while I was speaking in Colorado. Dr. Gish was visiting his daughter, and she arranged for both of us to meet. At that time Dr. Gish kept telling me how thrilled he was with our Creation Museum and what a blessing it was for him to have seen this new facility. He was also joyful to know that others are helping to carry on the ministry that he and Dr. Morris were so integral in starting in the USA. Here is a photograph taken of the both of us as we met this past June. 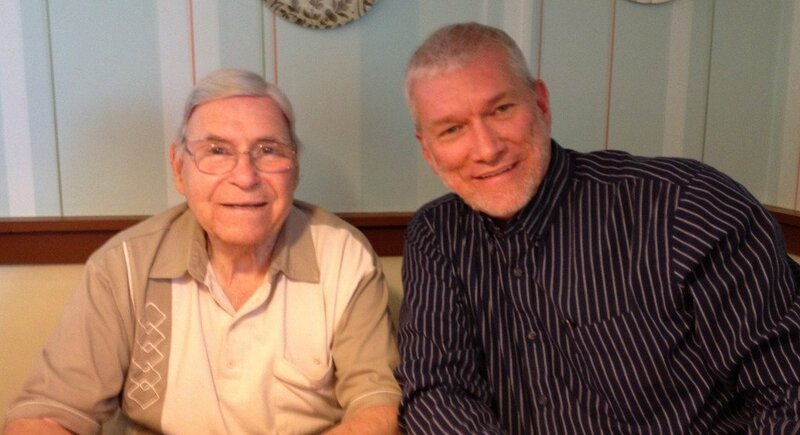 Yes, it really is the end of an era as these two greats (Dr. Gish and Dr. Morris) who were a part of the beginnings of the modern biblical creationist movement have moved on to their eternal homes. AiG cofounder Mark Looy has written an article about the life and ministry of Dr. Gish. I urge you to read this article—and read it to your kids—to learn about the life of a great Christian warrior and his influence on a certain teenager forty years ago. Since this year’s ministry theme is to reach young people and rescue them from the secularists, I urge you to read Mark’s article.